Sara is the programme manager for e-inclusion at Digipolis Gent. She joined Digipolis Gent in 2010 and started out as a project manager in the ‘Digitaal.Talent@Gent’ programme, a collaboration between the City of Ghent, the Social Welfare Services, several local organizations and Digipolis, the coordinating ICT-partner. She initiated and managed several experimental and sustainable e-inclusion projects, such as the Digital Talent Points (telecentres), ‘Digikriebels’ and Recup PC. 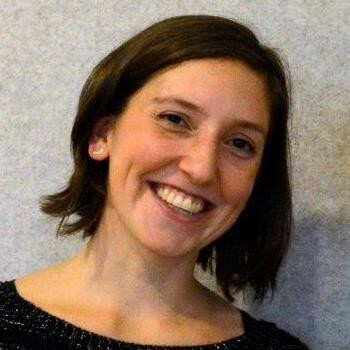 In 2015, Sara became programme manager. Today, she leads a team of project managers to realise e-inclusion projects such as ‘Onbeperkt Mediawijs’, ‘Code City’ and the e-inclusion services of the public library De Krook. Annually, the program reaches over 20,000 people. Sara has facilitated collaborations and knowledge sharing on e-inclusion in several national and European networks. She is part of Mediawijs, the Flemish knowledge centre for media literacy, and has teamed up with several non-profit organisations, universities and university colleges. In 2016, she organized ALL DIGITAL’s annual conference in Ghent, in close collaboration with ALL DIGITAL.